Dandruff is a really embarrassing condition. But did you know that dandruff can also be one of the reasons behind those annoying acne breakouts? The dry flakes are a common symptom of dandruff and these flakes can clog open pores of the skin, causing acne. Dandruff can make things worse if your skin is already acne-prone. Dry scalp and dry hair can cause dandruff. Some of the other common factors are weather conditions, hair products, and poor hair care routine. Acne is a skin condition that is caused due to excess oil produced by the oil glands and dead skin cells. If not treated properly, acne can leave stubborn marks on the skin. It is common in teenagers, but can also affect people of any age group. How Is Dandruff Related To Acne? Acne and dandruff have one common cause - hormonal imbalance. Malassezia globosa, a microbe that naturally occurs on the skin, breaks down sebum that is produced by the oil glands. An acid known as oleic acid is produced during this process. People who are sensitive to this acid develop dandruff. The excess oil production and the dead skin cells, along with other skin impurities block the skin pores. These clogged pores result in acne. The clogged pores are further infected by the bacteria living on the skin. This leads to the symptoms of acne. Dandruff makes the scalp flaky and dry. The dry flakes can sometimes clog pores on the face. If you already have pimples, dandruff can worsen it. Even though acne and dandruff have different causes, oil production is something that commonly triggers both. During puberty, oil glands increase oil production due to the hormonal changes. This leads to the development of acne and dandruff at the same time. - Use an anti-dandruff shampoo: Removing dandruff is the best way to avoid acne breakouts caused by dandruff. Anti-dandruff shampoos can remove the excess oil from your scalp and make it healthy. - Keep your hair off your face: Tie your hair into a ponytail or use a hair band to keep your hair away from the face. This will ensure that there is no contact between dandruff and your skin. - Hot oil massage: This can ensure that your scalp stays healthy and doesn’t become dry. Massage your scalp with hot oil at least once a week. - Brush your hair well: Brushing your hair frequently can help keep dandruff away from your skin. It removes the dry flakes from your scalp and doesn’t give it a chance to come in contact with your face. Kaya is one of the most preferred choices for hair and skin care treatments. Kaya’s Anti Dandruff Shampoo is an effective scalp purifying shampoo. Enriched with piroctone olamine, it gently removes dandruff and nourishes the scalp. The seaweed extracts prevent the scalp from drying out and flaking and restore its health. Kaya’s Advanced Acne Care Kit is a treatment kit that effectively reduces acne and acne scars. It is specially designed for oily or acne-prone skin and can be used on a daily basis. The kit comprises of four products - purifying cleanser, purifying nourisher, purifying toner and purifying spot corrector. The purifying cleanser gently cleanses the skin and removes excess oil and other skin impurities. You can use the cleanser twice a day for effective results. The purifying toner unclogs pores and helps reduce acne marks. The purifying nourisher hydrates skin and makes it soft and supple. The spot corrector comes with a light and clear formula that dries out acne. It also helps remove the stubborn acne marks. If you are dealing with permanent hair loss, you should consider having a hair transplant. This is because a hair transplant can reverse the effects of permanent balding. If medications and oils can't restore your hairline, then hair regrowth by hair transplant may be your best bet to get back a head full of natural hair. Follicles are a collection of cells that are located in the skin. They are responsible for growing hair strands. An old hair strand will naturally separate from the follicle and fall off. After this, the follicle will start growing a new strand of hair. If the follicle gets damaged, it could stop producing new strands of hair. Sometimes, the follicles can get permanently damaged and will never be able to heal. They could suffer permanent damage because of excess stress or unhealthy lifestyle choices. A person’s genes are also a major factor that leads to malfunctioning of hair follicles. When the follicles get permanently damaged, certain areas of the scalp will experience permanent hair loss. This leads to a receding hairline and bald spots on the head. An effective way of overcoming the effects of permanent hair loss is through the hair transplant method. Follicular Unit Extraction is the latest and most efficient method of carrying out a hair transplant. FUE is performed using a precision instrument that targets only the hair follicles. With this tool, the surgeon can simply pull out the hair follicles that are required for the transplantation without causing any major harm to the skin around the target area. It does not leave scars or cause wounds and bleeding after the procedure. Because FUE is performed with a precision instrument, the surgeon has to only perform minute and minimal incisions on the scalp. These tiny cuts and marks will heal quickly. Hence, you won't be left with visible scars on the scalp. An FUE procedure will only leave minor cuts and incisions on your scalp. These will heal very quickly if you take the necessary precautions after the hair transplant procedure. You can return to your daily routine in just 2-3 days after completing the procedure. The transplanted follicles will start producing new hair after 3-5 months. At first, this hair will be weak and will fall off. In 8-10 months, your hair will grow thicker and healthier. This new hair growth will look natural and will cover bald spots, restore your hair volume and hairline. This is exactly why the expert dermatologists at Kaya use Follicular Unit Extraction for hair transplant. The Expert Hair Transplant Solution from Kaya is done with a precision instrument that can harvest the necessary hair follicles without causing unnecessary damage to the skin around the targeted area. You will also be given local anesthesia in the scalp to numb the pain during the procedure. Grafts will be prepared with these harvested follicles. The scalp will be injected with anesthesia again and these grafts will be inserted into the areas having permanent hair loss. After the transplantation, the experts at Kaya will inject the scalp with Platelet Rich Plasma (PRP). PRP contains the necessary nutrients to stimulate the transplanted hair follicles. It makes the transplanted follicles healthier, which in turn leads to healthier hair growth. If you are looking for the best methods to cure permanent hair loss, the hair transplant method is your best bet. If you are struggling with unwanted hair growth, you might already know that waxing is only a temporary solution. After you wax an area of your body, new hair will start growing again after approximately two weeks. You will have to go for waxing sessions every month to remove the new strands of hair. Now, think of the big picture and consider how much money you would be spending throughout your whole life on these waxing sessions. This is why it is wiser to opt for a more efficient solution like laser hair reduction to reduce the growth of hair for longer durations. Hair strands grow from a group of cells called follicles that are found in the skin. Laser hair removal is a procedure in which a concentrated beam of light is targeted at the hair follicles. The pigment in the follicle will absorb this light. When this happens, the follicles will get damaged and they won’t be able to grow new strands of hair. Waxing is done by trapping the hair strands in a sticky substance, usually wax. The hair is ripped out by forcefully by pulling this sticky substance from the skin. The disadvantages of waxing are that it is a painful process that has to be repeated every month. Waxing involves applying hot wax on skin, which causes irritation and a burning sensation, accompanied by red spots. Waxing could also damage the skin around the hair. Sometimes, when the wax is pulled forcefully, the skin may also be ripped along with the hair. Waxing is a painful method of hair removal. Pulling the hair will cause a momentary stinging pain. The pain will also be more intense if the hair is pulled from sensitive areas. Waxing can also turn out to be an expensive affair because the hair that was pulled out will start to grow after just two weeks. While waxing, a few hair strands may still be under the skin, which means you won't be able to pull them out. These hair strands may start growing in a few days or a week. Ultimately, you will have to attend more waxing sessions and end up spending more money and time. Laser hair technology is a more efficient method of hair reduction for a variety of reasons. This is why the experts at Kaya are using the US-FDA approved Kaya Hair Free Gentle Touch laser treatment to give their customers better results. The dermatologists at Kaya recommend at least 6 sessions to get the best results. The laser will make the hair follicles dormant for a longer duration. So you can avoid frequent trips to the parlor, which helps save time and money. The laser precisely targets the hair follicles so skin around the treated area won't get affected. The experts will customize the settings of the laser light to suit your particular skin and hair type. The laser light can penetrate the skin to reach the root of the hair strands. Since the whole strand is removed, it reduces the possibilities of developing ingrown hair. The hair grows back softer and finer as the hair is not forcefully removed. The laser targets and burns hair follicles, and it is a painless procedure. You can save a considerable amount of money because laser hair removal will keep unwanted hair growth under check for longer periods. It is expected that a man will experience balding around the age of 40. But some people could already have bald spots on their head even if they are below 40 years of age. What hurts the most is when you start balding in your teenage years or in your 20s. At this young age, you are expected to have a full head of hair. You don't have to worry because you can reverse the effects of premature balding through hair regrowth by hair transplant. The hair grows from a specialized group of cells in follicles that are found in the skin. Losing the hair is a natural effect of the aging process of the body. About 10% of the hair on your head is currently in the dying stage, and about 100 strands of hair will fall out on a daily basis. It could take six months for the follicle to be re-enriched so it can produce a new strand of hair. As you start aging, these hair follicles will start to shrivel and become less active. When this happens, they won't be able to produce new strands of hair. Some men will start going bald much before, sometimes as young as in their teens or in their 20s. This is what is called premature male pattern baldness. Premature balding begins with the thinning of the hair. If you have premature balding, you will notice that the strands of hair are becoming finer. You will also be able to see your scalp easily through the hair and the hairline may also start receding. The reason for premature balding is considered to be caused by the increased production of testosterone after hitting puberty. When this testosterone reacts with a certain enzyme that is found in the skin, it gets broken down into dihydrotestosterone (DHT) hormone. This DHT will reduce the ability of the hair follicles to make new hair. Premature baldness is largely caused by the genes of a particular individual. This hereditary condition will cause balding at an incredibly young age. It is also much easier to reverse the effects of premature balding at this young age. This is because you may still have enough hair on your head to undergo a hair transplant. A hair transplant is done by moving healthy follicles to areas of the scalp that have gone bald. The healthy follicles will be collected from areas of the head that are immune to permanent hair fall. This is called the donor area and it includes the back or side of the head. The follicles that are collected will then be inserted into the bald areas. After a period of time, they will start growing new hair in the bald areas. Depending upon the hair transplant method, these follicles will be collected in different ways. The dermatologists at Kaya Clinic perform the modern Follicular Unit Extraction for hair transplant. Their expert hair transplant solution is minimally invasive. They use a precise instrument to separate the hair follicle and remove it without causing deep cuts or wounds on the surrounding skin. You will be given local anesthesia so you won't feel pain while the follicles are being collected. The surgeon will prepare grafts from the follicles that have been collected. These grafts will be inserted into the areas of the scalp with premature balding. At this point, the experts at Kaya will also inject the scalp with Platelet Rich Plasma (PRP). The PRP injection will supply the hair follicles with nutrients they need to become stronger. This makes the hair regrowth much faster and denser. The transplanted follicles start to grow hair in about three or five months after the transplant. They will mature completely after eight to ten months and the hair will grow thick and full. 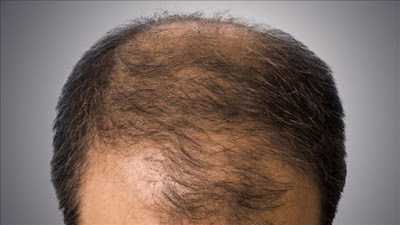 If you are tired of premature balding, you can book an appointment with Kaya to get rid of those annoying bald patches. You can also take a look at the Kaya hair transplant review before you finalize your decision. Which Hair Removal Procedure To Opt For - Waxing, Shaving Or Laser? Unwanted body hair can feel like a burden and many women can relate to this feeling. This is where laser hair technology comes into the picture. Laser hair technology is important, as these easy hair removal options such as shaving and waxing do not provide long-lasting results. Read on to know which hair removal procedure to choose for long-lasting effects. Shaving is known for its convenience, and is considered to be one of the easiest and painless methods of hair removal. The razor cuts off hair at the skin’s surface to give you soft and smooth skin. Since the hair is cut off from the surface and not the roots, it grows back in a couple of days and tends to be thicker. There are also higher chances of razor cuts and burns as well. Many women opt for this hair removal method as it provides hair-free skin for weeks. Hot wax is applied on the skin and removed in the opposite direction of hair growth. This procedure pulls out hair from the roots. Waxing can be done on legs, underarms, arms, and bikini areas. This treatment is best for people with thick and dark hair. Even though waxing leaves your skin hair-free for a couple of weeks, it is pretty painful. The hot wax can cause irritation and rashes on sensitive skin. It also results in ingrown hair. Going to the parlor every month can be quite tiresome. Hair removal through waxing is effective only if hair is of a certain minimum length. So you’ll have to let your hair grow and wait for almost a month before going for your next waxing session. Laser hair removal is one of the most painless and effective hairs removal treatments. It uses a laser light that penetrates the skin and destroys the hair follicles. The laser is targeted to destroy just the hair follicle and the surrounding areas remain unaffected. The use of the laser delays regrowth of hair, leaving you with beautiful, smooth and hair-free skin for a longer period of time! The treatment might take up to 5-6 sessions for it to be fully effective and give you the desired results. Depending on the hair type and pattern of hair growth, some people might need a few additional touch-up sessions. Women have opted for laser hair removal for all parts of their body - underarms, arms, legs, and bikini line too! At Kaya, a diode laser is used, as it is considered safe for every skin type. The hair removal procedure happens in three steps. It starts with the dermatologists analyzing and understanding your skin type, hair type, and hair growth pattern. Next, the dermatologists test laser on a small patch of skin to check for adverse reactions. And lastly, if there are no skin reactions, a treatment plan is customized. Many people consider laser treatment for hair removal cost to be the only con in this treatment. It might be a bit pricey, but it gives you effective results in the long run! Kaya Clinic is the ideal choice for laser hair removal treatment in India. Women prefer Kaya, as it offers affordable hair removal packages. Attractive discounts are also provided for additional touch-up sessions! Kaya uses a dermatologically tested, US-FDA approved laser hair technology. This technology is safe for every skin color, as the existing laser treatments are not meant for darker skin. You can consult the experts at Kaya and see which laser hair removal treatment would be the best for you! If you are planning to undergo hair transplant, it is important to know its pros and cons, so that you can prepare for the procedure beforehand. Hair regrowth by hair transplant doesn't simply end at the operating table. You need to take certain precautions and learn how to take special care of your transplanted hair. Such knowledge could help you get the best results from your hair transplant. The hair strand grows from a group of cells called follicles that are found in the skin. When these get damaged, they may lose the ability to grow new strands of hair. If the damage is permanent, the hair that is lost from an area of the scalp and will never be regrown, which leads to permanent balding in that area. A hair transplant will help you regrow hair in areas having permanent hair loss. This is achieved by transplanting healthy hair follicles from one area of the scalp to the balding area. These transplanted follicles will eventually lead to the growth of new hair which restores a receding hairline and covers bald patches. Follicular Unit Extraction for a hair transplant is a modern method of carrying out hair transplant. For example, Kaya’s Expert Hair Transplant Solution is one such FUE hair transplant method. During the procedure, local anesthesia will be given to scalp to numb the pain. The surgeon uses a precise instrument to directly target the hair follicles and remove them without affecting the surrounding skin. It is minimally invasive and won’t scar your scalp. From these follicles, the surgeon will prepare grafts for transplantation. These grafts will be inserted into the areas of the scalp having permanent hair loss. Once again, this will be done with anesthesia to remove any feeling of pain. The whole procedure could take up to six or eight hours. It might also take multiple sessions to complete the transplant depending upon how many follicles have to be collected and transplanted to cover all the bald areas. After transplanting the hair follicles, the experts at Kaya Clinic will inject the scalp with Protein Rich Plasma. This will be collected from the patient’s own blood. The Platelet Rich Plasma will nourish the transplanted follicles which helps them to take a hold of the skin and grow faster. Before the procedure, you will be asked to avoid anti-inflammatory drugs. This is because they will thin the blood and increase the risk of bleeding after the procedure. You should also keep the scalp clean, especially in areas where the hair is going to be transplanted. You will also be asked to stop drinking alcohol and avoid smoking for a few days before the transplant. The doctor will prescribe certain painkillers to remove any feeling of pain that you may experience. You should also avoid strenuous physical activities, as it could harm the follicles. You can return to your daily routine after 2-5 days after the transplant. You should keep your head covered when you head outdoors because the transplanted follicles are sensitive to sunlight. You will also be advised to avoid alcohol and cigarettes for a while after the transplant. Do not wash your hair immediately after a hair transplant. Wait for two or three and days and wash it with a mild shampoo. You should avoid showering, and instead pour water over your hair with a mug. It will take around 3-5 months for the hair to start growing. After eight or ten months the transplanted follicles will mature and you will experience full growth. Acne is embarrassing and bothersome. Acne breakouts can be caused by a number of reasons. Getting rid of these tiresome acne breakouts can seem like a Herculean task. But, all you need is an effective acne treatment that removes impurities from the skin and prevents acne! The build-up of oil and dead skin cells is what causes acne. It usually appears on the cheeks, forehead, upper back and chest. Acne affects people of all age groups, but it is common among teenagers. Depending on how severe the acne is, it can cause scars and emotional distress. A lot of factors can cause acne, and hormonal imbalance is the most common one. When adolescence begins, a hormone called androgen is released in the body. In women, this hormone is secreted as estrogen. The increase in androgen secretion causes the oil glands present under the skin to grow. As these oil glands grow, more amount of sebum is produced. Because of this excess sebum production, the cellular walls in the skin pores break and cause bacteria to grow. This causes acne. How Can You Treat Acne? There are a number of treatments available for acne. This facial mask by Kaya comes with 5-Herb instant oil-control benefits. The mask has herbal oils that enter deep into the pores and remove excess oil trapped there. This mask works wonders for oily and acne-prone skin, as it effectively controls excess oil production. It has ingredients that hydrate and soothe skin. The tea tree extracts control sebum production and protect skin from harmful factors. The mask also contains Canadian willow herb extracts that effectively reduce acne marks. The Canadian willow herb has antimicrobial effects on the skin. It controls microbial growth and prevents acne. Free radicals are also responsible for causing acne. The Canadian willow herb scavenges these radicals. It also reduces redness and swelling of the skin that can result in acne. The mask reduces irritation and makes your skin soft and supple. The mask is free of parabens and fragrances that can irritate the skin, making it the best treatment for acne scars. There are other ways to treat acne as well. You can use products that are specially formulated for acne-prone skin. Cleansers that contain salicylic acid and benzoyl peroxide help prevent acne. Moisturizers that do not contain fragrances and are light-weight can also be used. Oil-free moisturizers are one of the best options for acne-prone skin. These moisturizers contain anti-bacterial agents that help clear out acne. Kaya Clinic offers a range of skincare products that are specially designed for acne-prone skin. Kaya’s Advanced Acne Care Kit contains 4 products - Purifying Toner, Purifying Cleanser, Purifying Nourisher and Purifying Spot Corrector. The cleanser gently cleanses skin and removes dirt and impurities. The toner exfoliates and unclogs pores. The nourisher nourishes skin and makes it soft and smooth. The spot corrector dries out the acne and fades the acne marks. Kaya’s Acne Scar Free Plus is a service that helps reduce acne and fades acne marks. It uses a dermaroller to treat scars caused by acne. The collagen production on the upper layer of the skin is stimulated using the dermaroller. This gives you clear and smooth skin by reducing acne scars. Microchannels are created in the skin using the dermaroller. Using these microchannels, a combination of pure vitamin C and glutathione is infused into the skin. This reduces acne scars to a greater extent and leaves you with flawless skin! For effective results, 4 sessions of the service are recommended. The gap between two sessions is around 8-10 weeks.